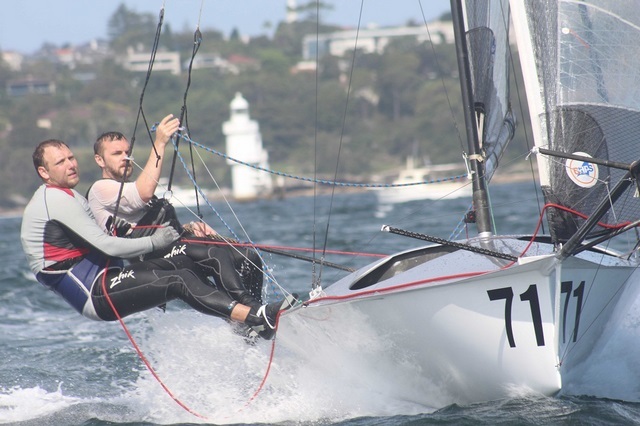 Queensland’s Richard Billet and Ben Cross (Carbon Chandlery) have notched up their first victory on the penultimate day of the Your Move Conveyancing 12Ft Skiff Interdominion, hosted by the Sydney Flying Squadron on Sydney Harbour. Carbon Chandlery won the first race of the day, Race 8, after nailing the start and not looking back. 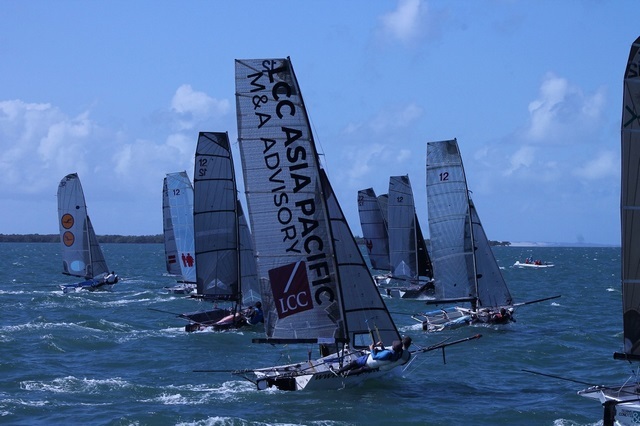 No easy feat given the stellar fleet boasting sailing champions from the 12 footers and other classes. 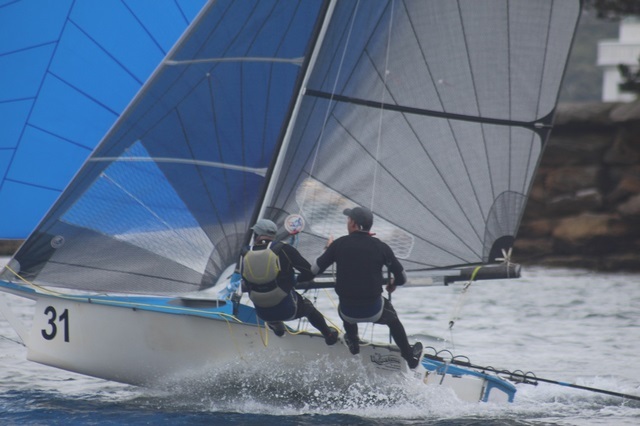 The Terms & Conditions crew of Brad Phillips/Harry Bethwaite (NSW) were second, and the Kiwi pairing of Chris Skinner/Chris Holland (Jackson Electrical) third. 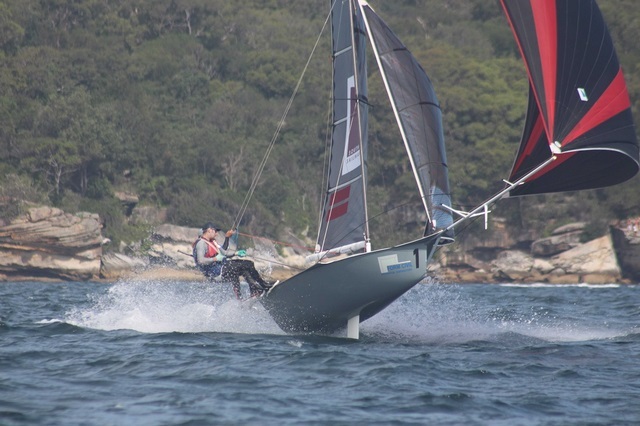 Six-time Interdominion winner, Tim Bartlett, steered Frankenskiff (NZL) to fourth place, crewed by Matt Hix. Phillips/Bethwaite paired up especially for the Inter Dominion and have produced some classy performances, while Jackson Electrical is the best performed of the New Zealanders, who are mainly representing Royal Akarana Yacht Club. It is unbeatable for third place overall. Not even club mate and defending champion, Alex Vallings, with new crew Sam Tretheway, (C-Tech) can get to them from fourth overall. 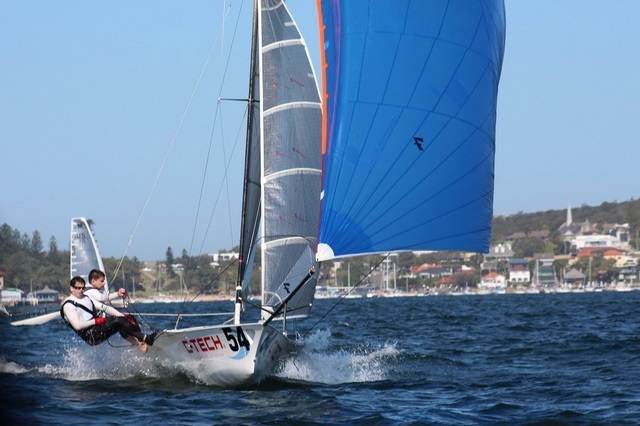 And despite the fact that Interdominion leaders and runners-up, Sydney Sailmakers and Geotherm respectively finished fifth and seventh in that race, Race 9 confirmed the two cannot be ousted from those places with just one race remaining. 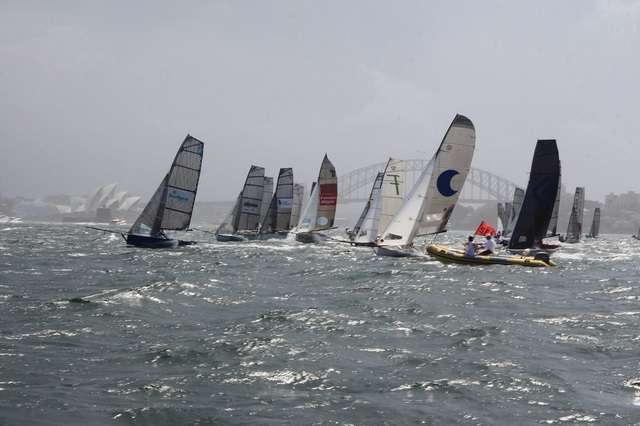 However, Sydney Sailmakers and Geotherm made good in Race 9, placing first and second respectively, with Jackson Electrical third, C-Tech fourth and the improving Carbon Chandlery in fifth. “We didn’t get the best start in that race either, but were up with top bunch and chipped away,” Press, from Gladesville said. Brett (Geotherm) was leading, and we ran him down on the second run. We sneaked in front and kept ourselves between him and the top mark the whole time and sneaked home first,” Press explained. 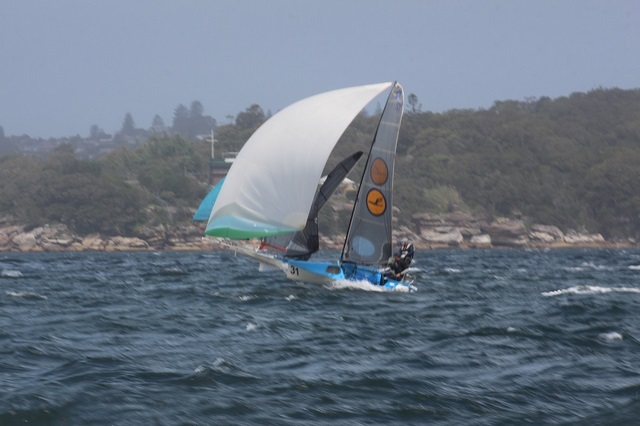 The ‘Handful’ crew of John Mulquiney/Duncan Gerdes (NSW) won Race 8 on handicap, while Red Energy’s Peter Nicholson/Mark Muirhead (NSW) took those honours in Race 9. 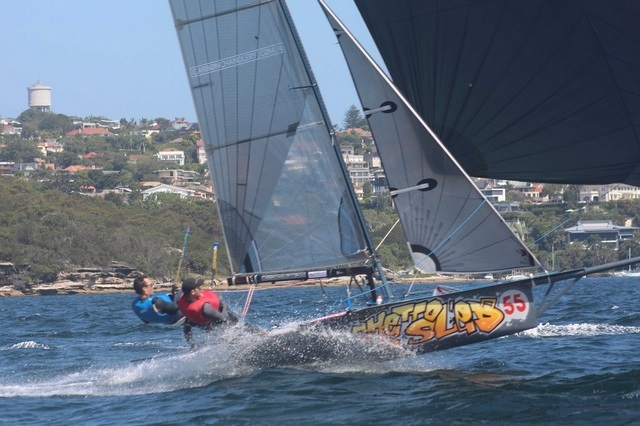 Organisers sent the 35 boats on the north-east course for Race 8, and a windward/leeward course for Race 9, because the breeze was flicking all over the place and more in the east, not suitable for the north-east course. For some of the time, the breeze went from nothing to big gusts, keeping all on their toes. 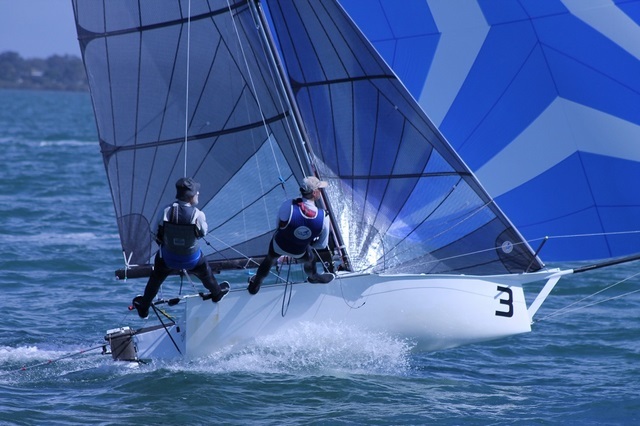 The Your Move Conveyancing 12ft Skiff Interdominion, supported by Brentnalls NSW, finishes tomorrow with one final race, starting from 2.30pm. 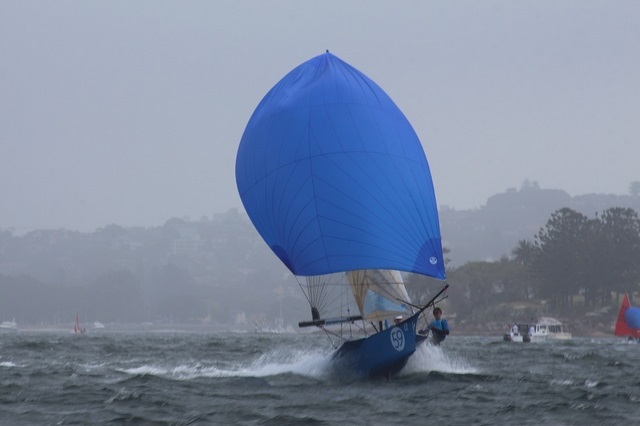 A spectator ferry will follow the final day of racing tomorrow, leaving the Sydney Flying Squadron at 2pm. Tickets for the ferry can be purchased via the Club’s website: www.sydneyflyingsquadron.com.au Drinks can be purchase on board, but we recommend having lunch at the club (restaurant or cafe) prior to heading out on the ferry.